Every project is full of passion, so your sewing machine should be full of Zeal! Offering even more technical variety and sewing freedom without losing ease of use, the purple-accented Zeal is the workhorse of our affordable line of sewing machines from Baby Lock. 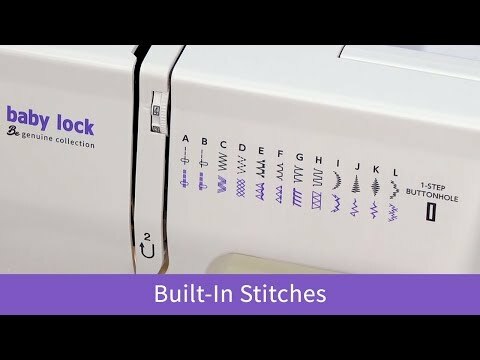 It’s intuitive controls allow for extensive fine tuning to help you create exactly how you want to while still keeping your project from getting of track due to complicated settings, making it perfect for beginners and intermediate sewists alike.